India vs Sri Lanka Live Streaming: It’s the only IND vs SL live cricket score match today, 6/9/2017. Here’s how to you can watch online on Sony Six live, DD national, crictime, smartric, hotstar, sonyliv, and other channels. Hotstar and Sony networks have the official rights. So, they will stream it live and broadcast to the fans and viewers. This tour of India in Sri Lanka had three tests, five ODIs, and 1 T20 game. So far, India whitewashed both the Test and ODI series. Let’s see what happens in the one and only today’s twenty20 match. The men in blue would like to conclude their super successful SriLanka tour with a win. It is going to be played in Colombo and starts at 7 pm IST. It seems that they are gonna get one more victory and defeat the hosts on their land on Wednesday. Playing it should give the India national cricket team confidence as they are going to play a T20 home series against Australia and New Zealand later this month. It is an opportunity to fine tune team combination. In the home, Indian team is going to play 9 T20 cricket matches and all of them will be a 3-match series. The game will be played at R Premadasa Stadium located in Colombo. The IND vs SL live telecast will be on Sony Six, Sony Six HD and Ten 3. The high on confidence, Virat Kohli led team will tackle SriLanka who is in desperate search of at least one victory. Let’s see if they get it. Their fans are highly criticising them for all of their losses. Bumrah was awarded man of the ODI series. The visitors scored a massive 375 runs in the last one and defeated the hosts by 168 runs. Rohit Sharma and Virat Kohli made a partnership of 219 runs for the second wicket. Both scored centuries. The men in blue are highly likely to win. 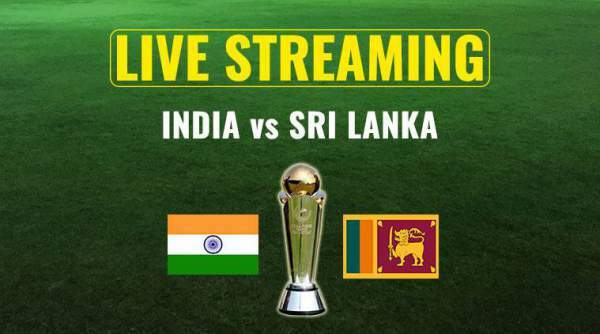 Come back for India vs Sri Lanka live streaming, cricket live score, t20 match commentary, ball by ball updates, match result, video highlights, and much more. What are your views? Stay tuned to TheReporterTimes for more cricket updates around the world.